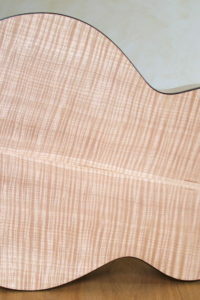 Based on our model IQ, with it's already stunning features like fanned frets, side soundhole and bevel, we added the proCut. Thus it combines pretty much everything modern lutherie has to offer. 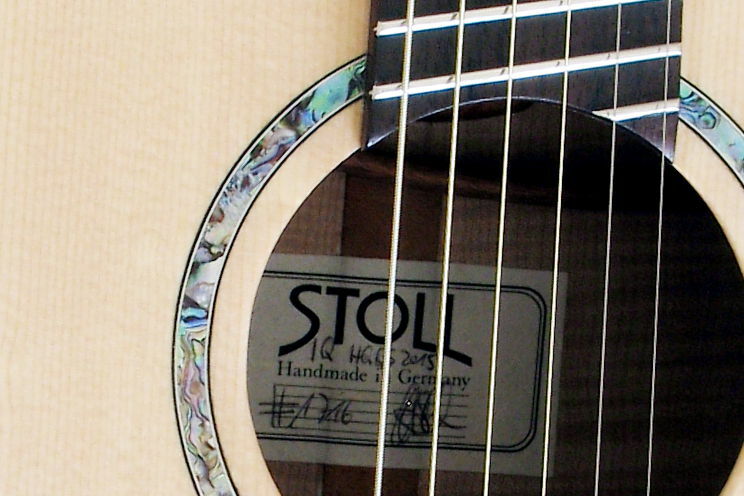 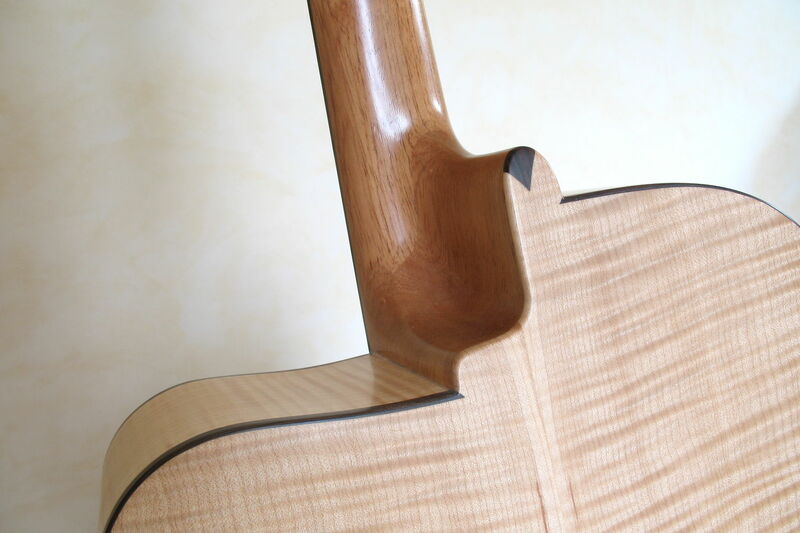 The idea behind the proCut is simply to lower the cutaway a little more. 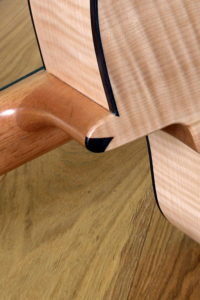 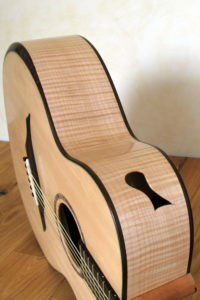 Technically, this requests significant modifications in the construction of the guitar, because the heel must be altered. 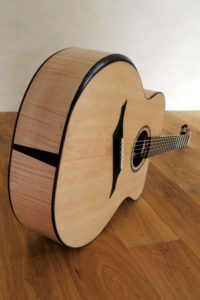 For the guitarist, who fortunately does not have to worry about these details, this extreme cutaway provides virtuoso playing in the highest registers. 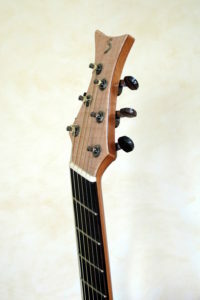 Anyone who believes that playing on fanned frets would be difficult, will be tought otherwise by testing it. 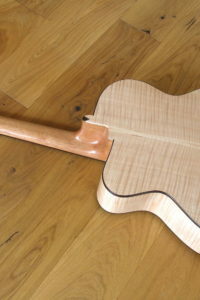 Fanned frets allow the left hand a natural, fanlike motion and thus a far more ergonomic posture than a conventional fretboard. 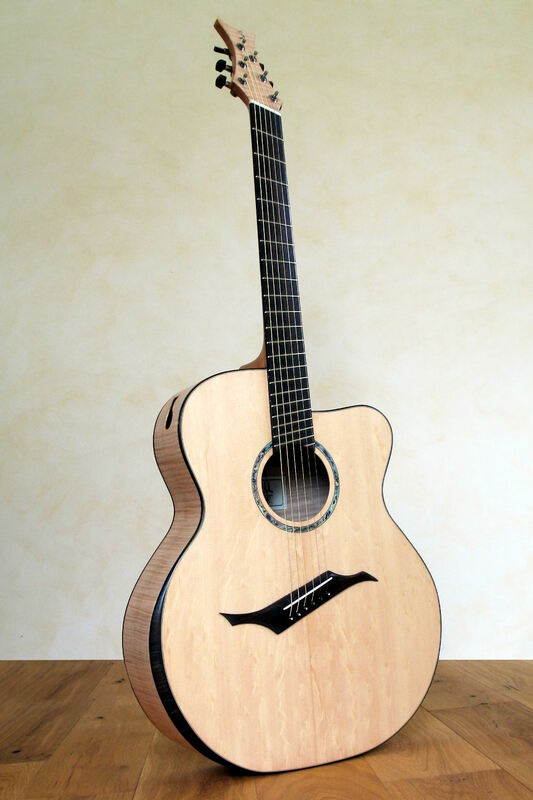 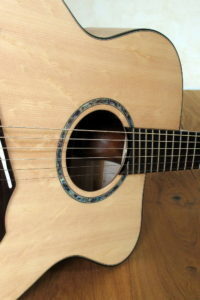 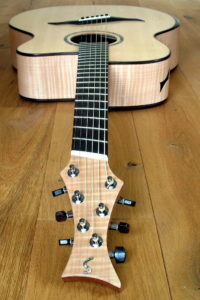 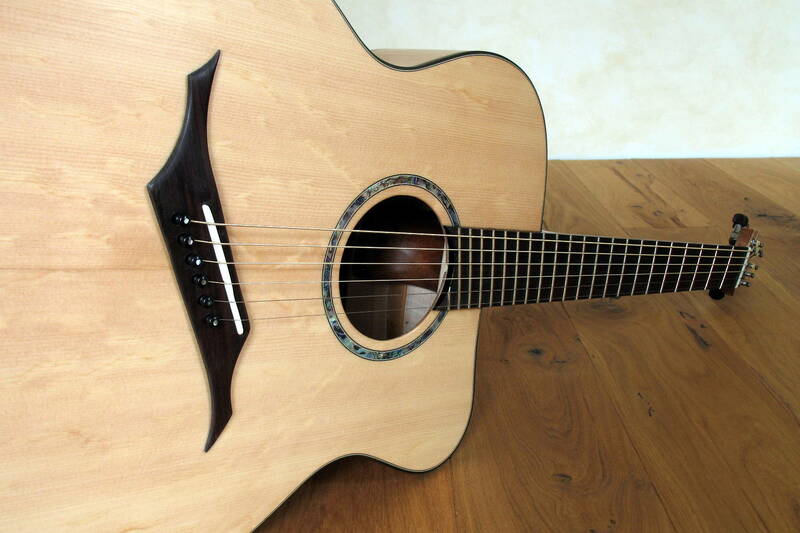 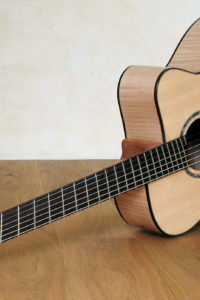 Fanned fret guitars provide 100% intonation, since the optimum scale length is applied to each single string. 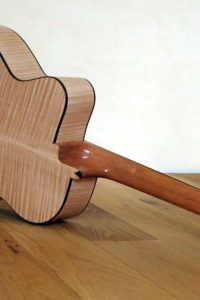 The small hole in the side unfolds great effect. 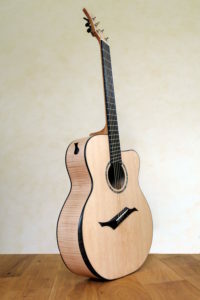 It serves not only as a monitor for the guitarist, the audience will notice a fuller and rounder sound as well. 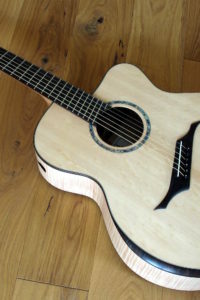 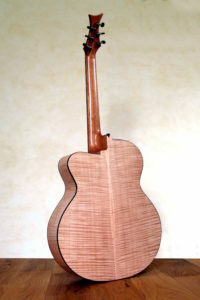 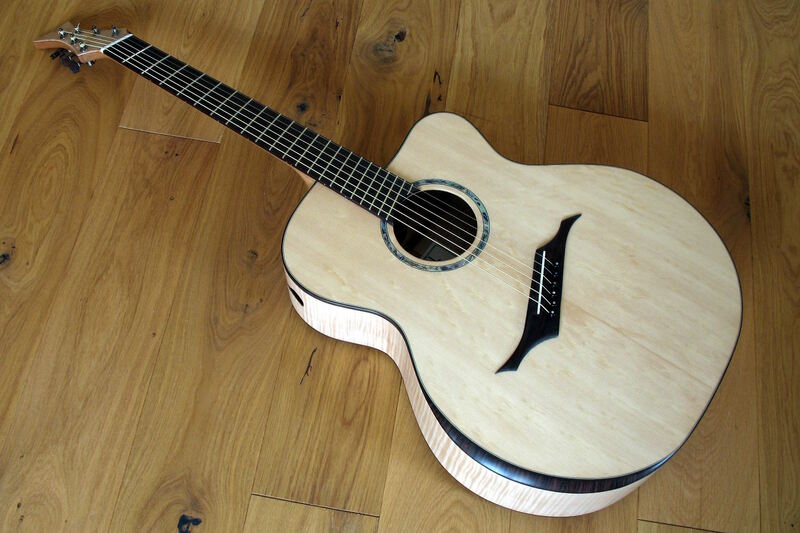 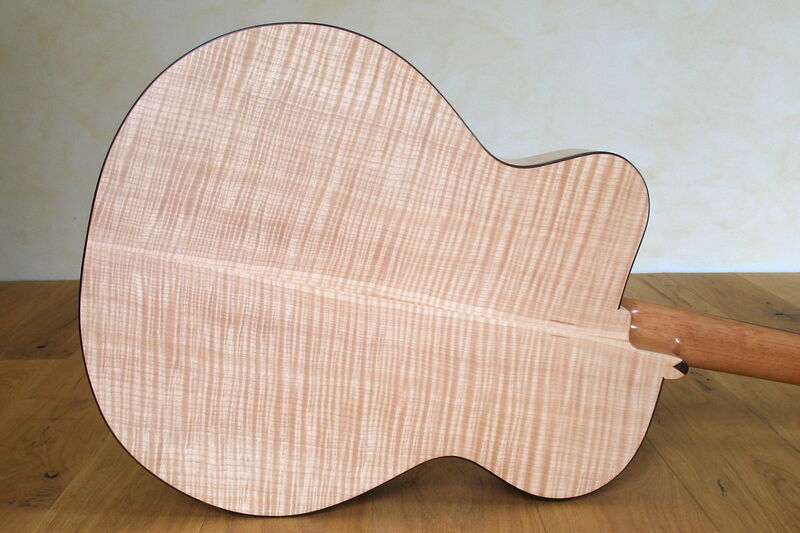 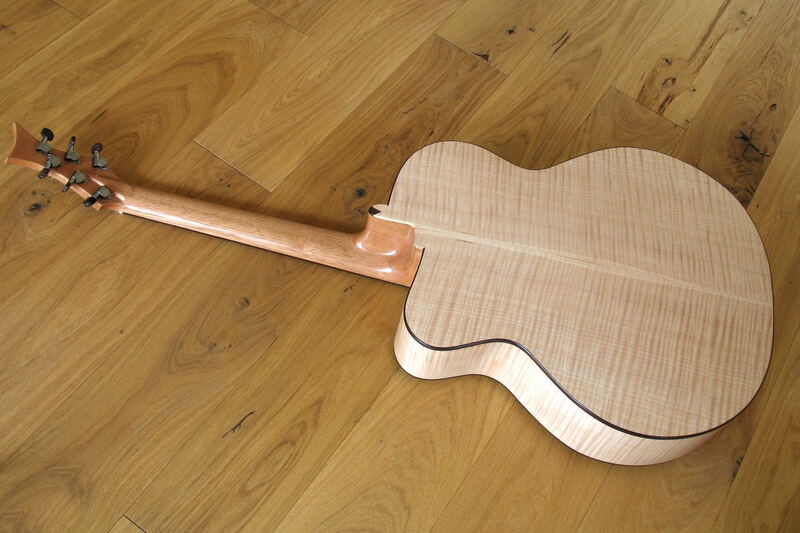 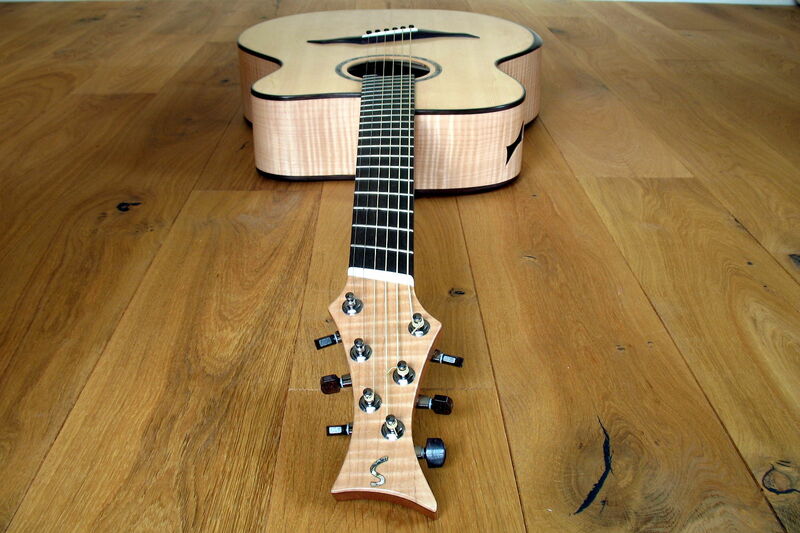 For this guitar we chose some spectacular woods. 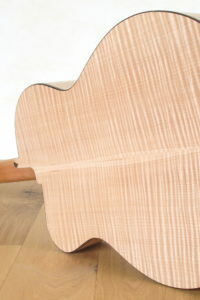 The body is made of extraordinally flamed Maple. 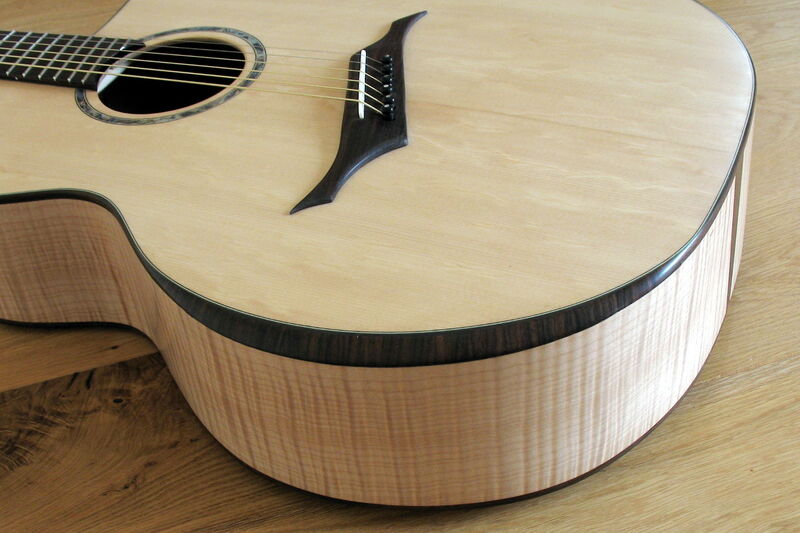 The top is of AAA Bearclaw Sitka Spruce. 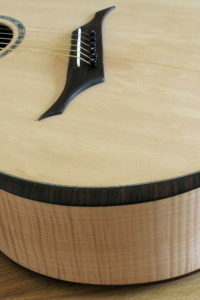 We added some dark color spots with the bridge, armrest, top and back bindings made of rosewood. 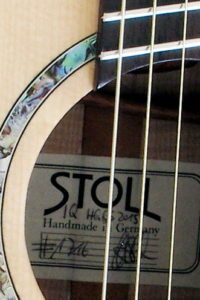 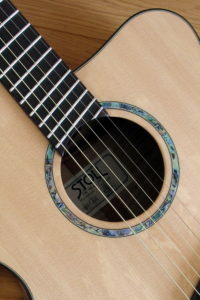 The Abalone in the rosette is found again in the S inlay of the head plate. 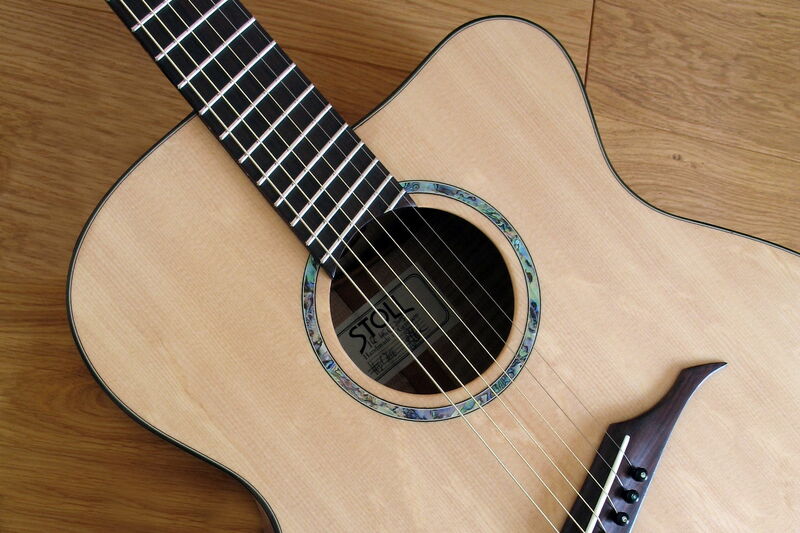 The purflings of this blonde beauty are matching green. 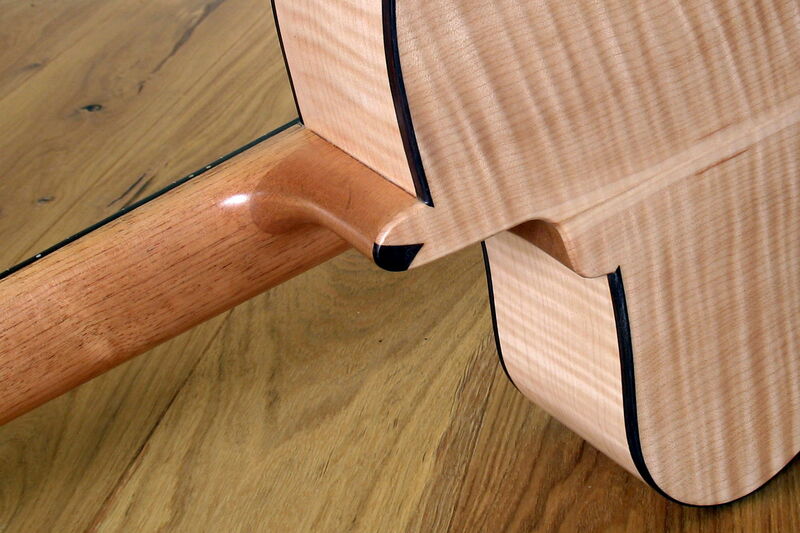 The playability of this Jumbo is highly improved by the armrest. 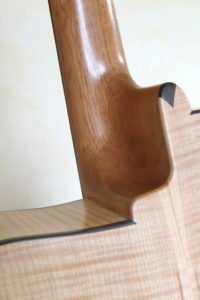 It ensures a more relaxed right arm position and good blood circulation. 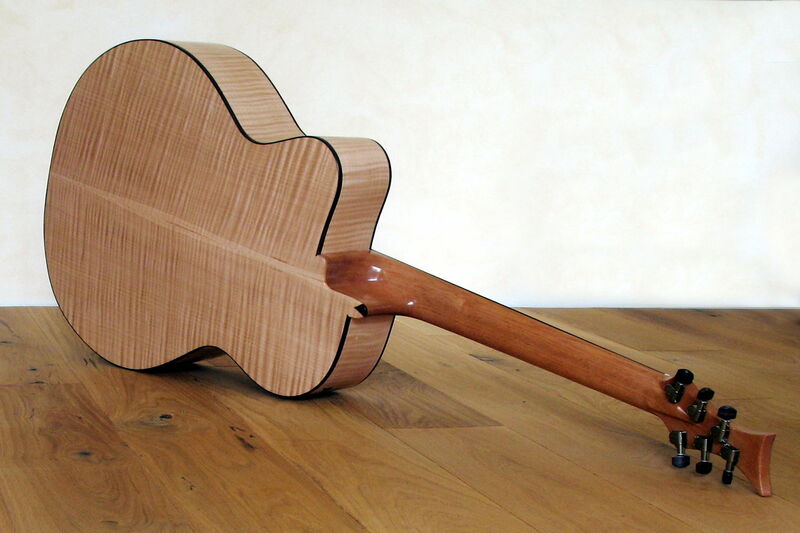 Despite its size the guitar is surprisingly lightweight. 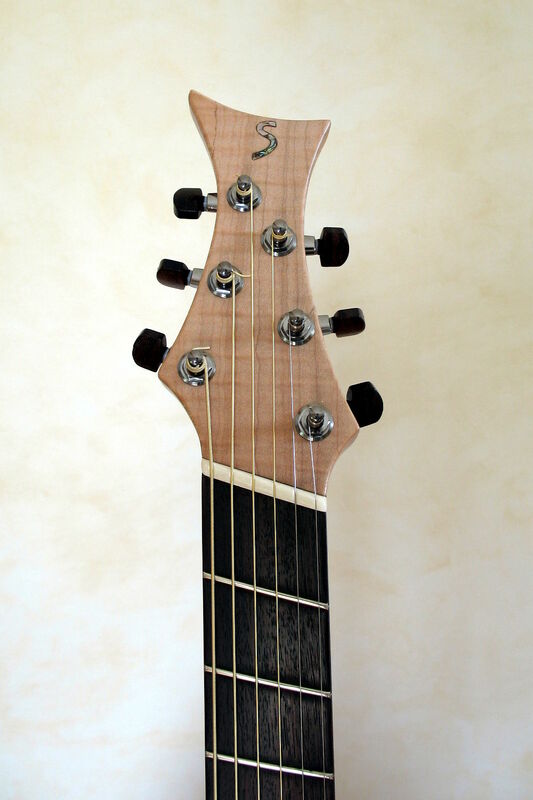 A perfect neck, low string action, fanned frets and finally of course the proCut provide a surprisingly new and extremely comfortable feel. 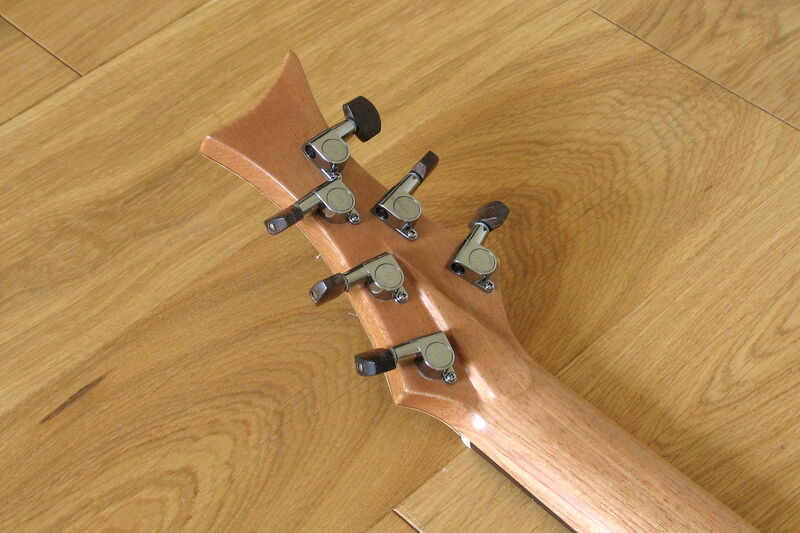 Considering the upper and mid range it is quite obvious that this in an IQ. 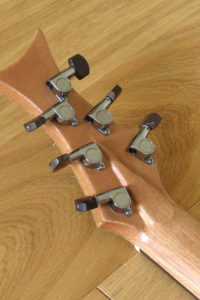 The difference is noticeable in the bass range. 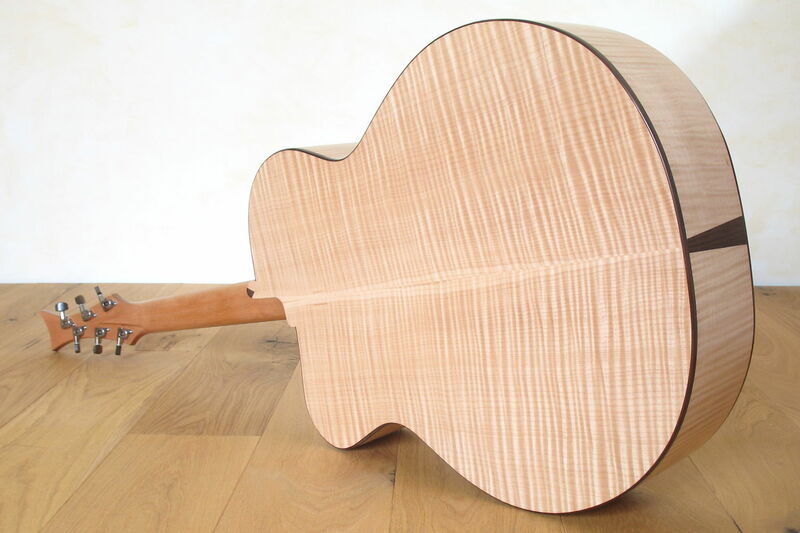 Due to a stiffer back bracing and maple as wood of choice for back and sides, this guitar produces an incredible sonorous sound.